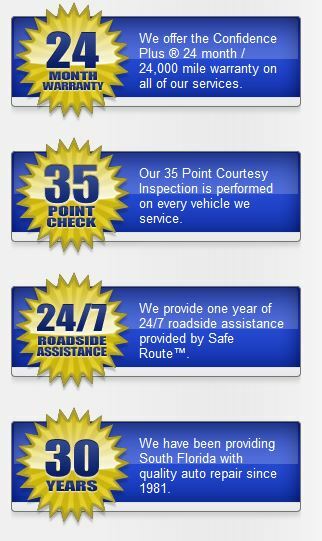 All Star Auto Service is Proud to Offer a 24 Month / 24,000 Mile Warranty on All Our Services! All Star Auto Service – Over 30 Years of Servicing Palm Beach County Cars & Trucks and Going Strong! Applicable to purchases made January 1st through December 31, 2019. APR: 22.8%. Minimum Finance Charge: $1.00. CFNA reserves the right to change APR, fees and other terms unilaterally.